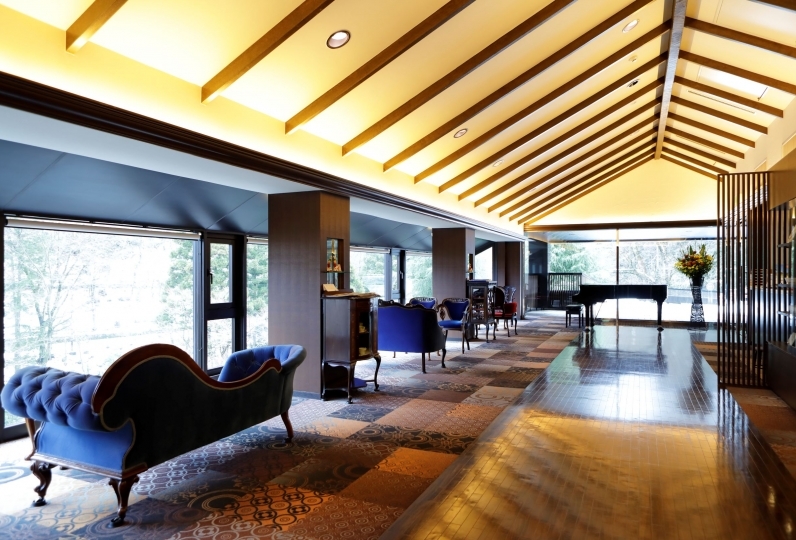 Nagomi no Yado Hanagokoro is the den for adults with the view of Mt. Hakone. 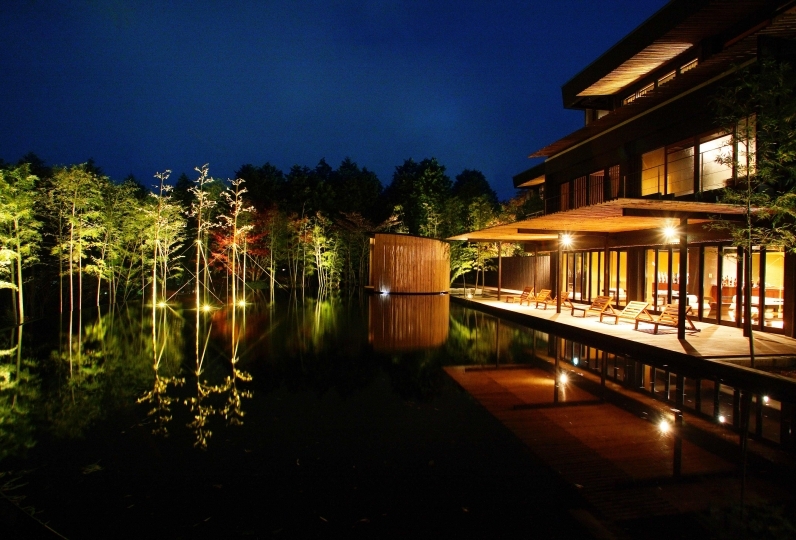 The view from Hanagokoro is outstanding because it is located in a hill of  the Hakone Izu National Park. We cater for 8 group of guest per day as we only have 8 rooms. 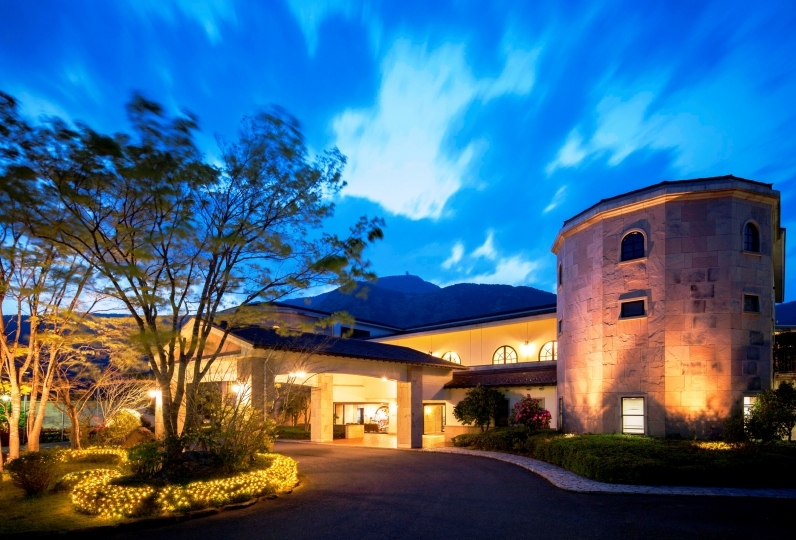 Associated with "one time, one meeting", we welcome every guests by naming it "8 times, 8 meetings." 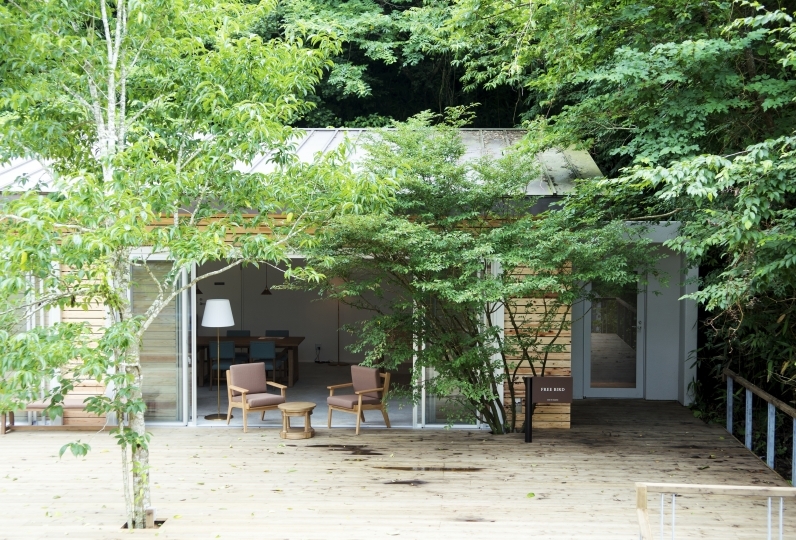 The 8 modern rooms have unique characters respectively and are located in the middle of the great nature. The baths are located separately from each room and there is a complete private bath exclusive to each group of guests. 4 of these private baths are with rock baths. How you would spend the time in the private bath is limitless. You may wish to read a book or two. 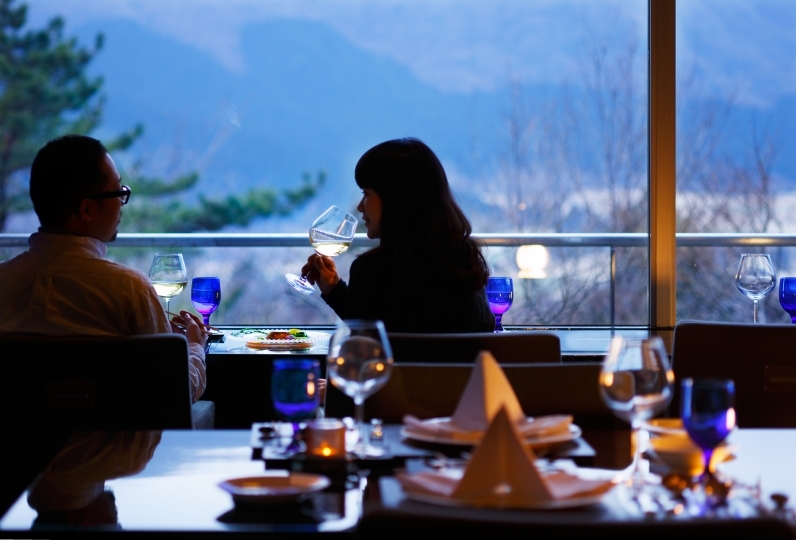 The meal is prepared with fresh local ingredients and the head chef boasts original Hakone Kaiseki meal. We promise a wonderful holiday with your loved ones under the sunset where you can forget about the time. I appreciate your kindness at this time. I made a reservation from Relux, but when I found that I could stay for a total of 25,000 yen cheaply on other companies' sites, I was very surprised to contact Relux, and the price guarantee was not made, so there were complaints We had a great deal, but there was a bedrock bath in the reserved bath too and we were able to relax very much. I was a little surprised because Nakaya were foreign countries, but I was able to spend a very good time with kind and polite people with very nice smiles. Please tell them all means. The room was large, the scenery was beautiful and I was able to spend it very slowly. The food was also very delicious, it was just too good not too much and not too little. We were able to drink beer with private outdoor bath and detailed service was perfect and we were able to feel good quality of service. 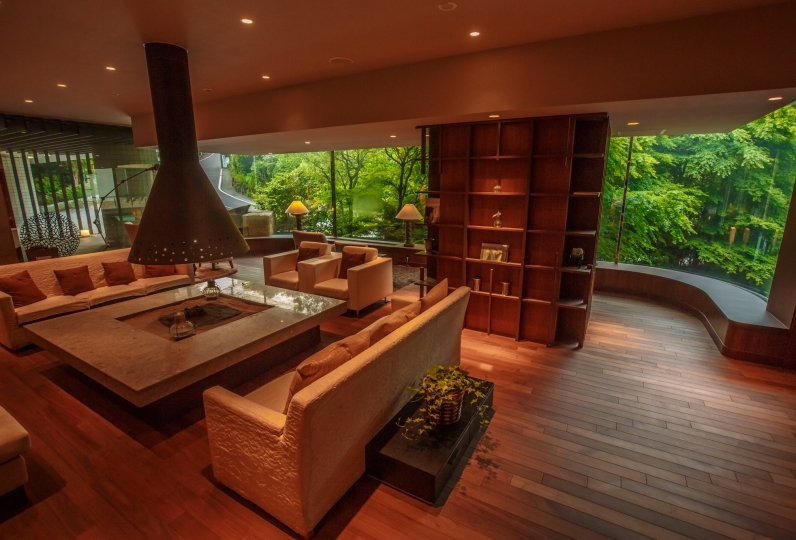 "Enjoy a private outdoor spa in the forest". We prepared a private bath independently from each room and it is private. We will give you the key when checking-in. 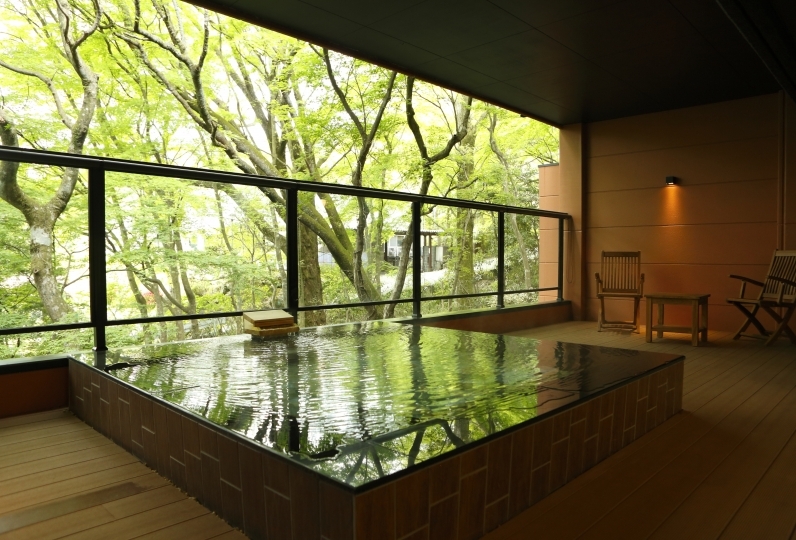 There are 8 baths and 4 come with hot stone sauna. 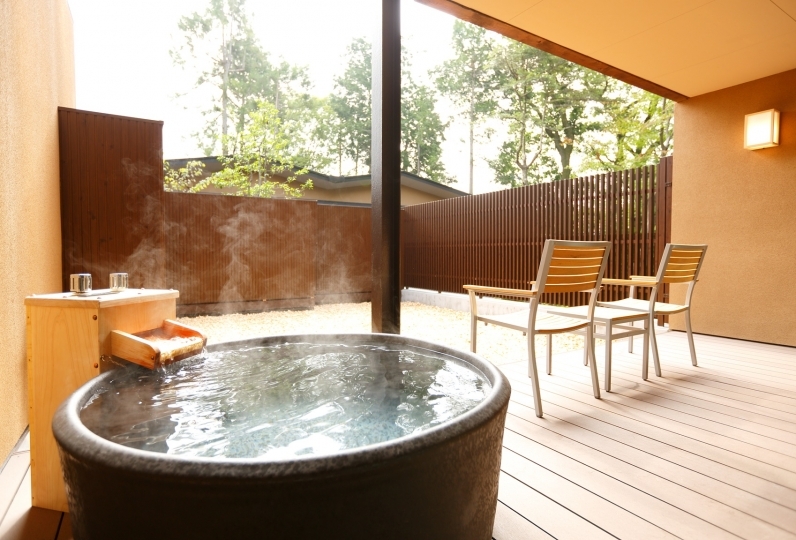 If you would like thr hot stone sauna option, please inquire upon reservation. Also, there are public bath in our facility for both men and women. 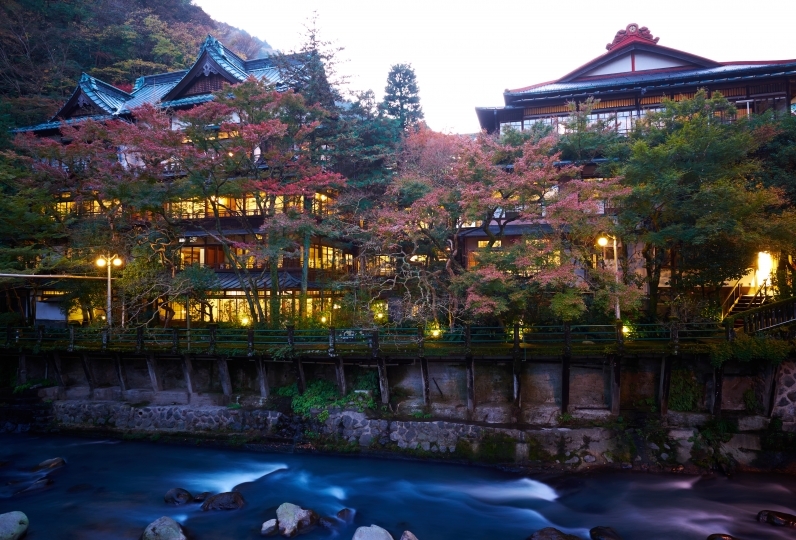 The water used in public bath is extracted from the natural hot spring source. 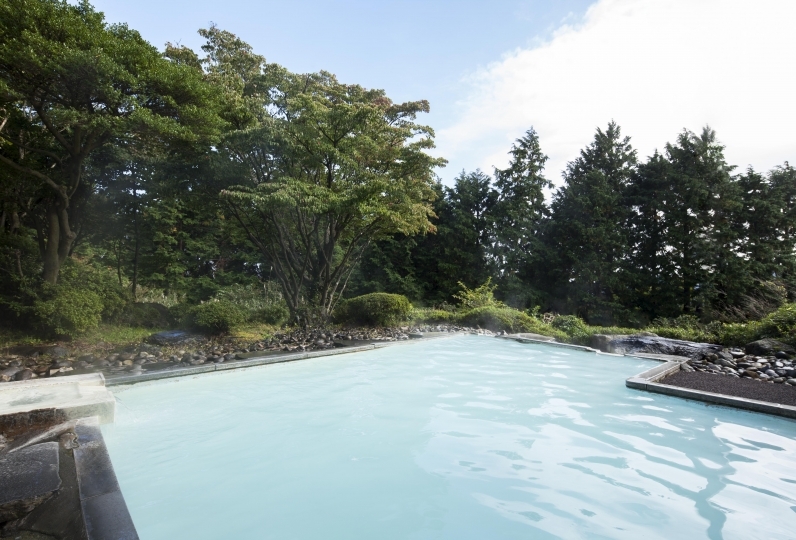 Private open air spas in specific rooms have circulated water and natural water from the hot spring source. Offering the base oil and essential oil of organic made in England. From neck to feet, the massage is all-hands treatment. There is a consultation before treatment. 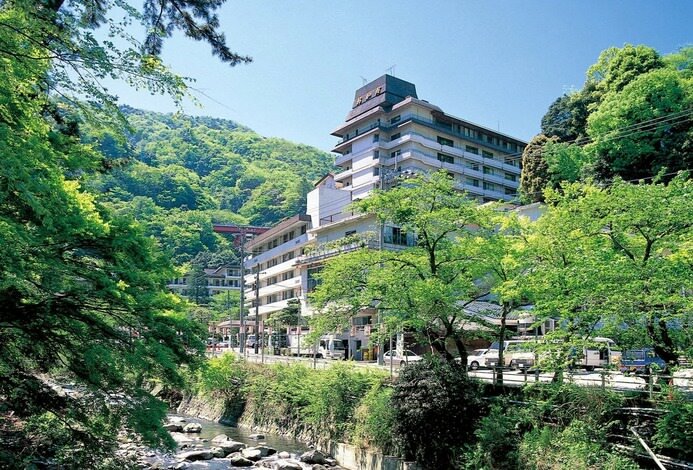 The water used in public bath is extracted from natural hot spring source. *We regret to advice that the hotel only caters for guests 13 and over. Tokyo to Yumoto Station via Odakyu-line, then onto Tozan Railway to Goura Station, Souunzan Station by cable car. 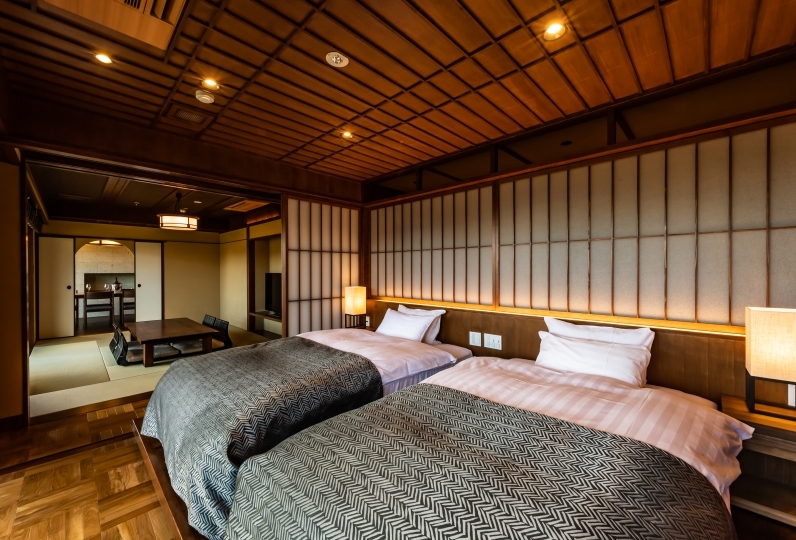 From Osaka/Nagoya station, take a bullet train and get off at Odawara Station, then Hakone Tozan Railway to Goura Station, take a cable car to Souunzan Station. Odawara West IC via Atsugi Odawara Road, then take Japan National Route, Turn left at Miyanoshita Intersection, head off to Souunzan way via Kowakien. Take Tōmei Expressway to Tokyo Way, to Gotemba Interchange, then take Japan National Route 138 towards Sengokuhara way, turning right at Miyanoshita Signal, R1 Goura to Souunzan.